Microsoft has started off 2016 with a slew of updates to their popular products and services. Just recently we received a long-awaited update for the Surface Book and Surface Pro 4 models, Windows 10 updates, Skype updates for mobile platforms, Office 365 updates, and much more. Sick of circling things? Keeping chart axes straight have your mood slopin’ down? We’ve got your back. You can now add perfectly crisp lines, polygons and other geometric shapes from the Insert menu. We spiffed up Search over the holidays and added some new tricks! Now you can search all of your OneDrive notebooks—even if they’re not on your device. You can even search for things you’re currently reading. It is easier than ever to share your notes with the world with Docs.com, which lets you make notebooks accessible for others to copy and use with just a single tap. Whether it’s a notebook that details must-see sights and local hangouts, a lesson plan fellow teachers are clamoring to use in their classrooms or those Chem 101 notes your fellow freshmen are begging for—you can share your notebooks on Docs.com. Need to save an email alongside all your other notes? We made it easy: just forward it to [email protected] and we’ll get everything sorted away for you; think of it as your personal email filing entity. 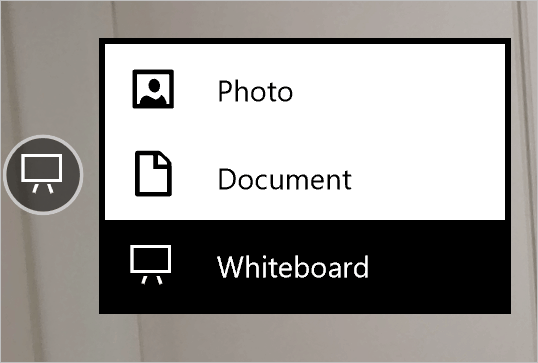 Crop the top (or any other part) of an image in OneNote Online with the new Crop tool. It’s teacher approved! Done for the semester? You can now remove notebooks you’re finished with from the list of notebooks displayed in OneNote Online. You now have the OneNote Clipper extension in all of its glory (and functionality) including Region mode clipping on Firefox and Safari browsers. Of course, we still have it for Chrome as well. Never lose a white-boarding session or homework assignment again. Now you can scan documents right into OneNote with a single tap with our fresh-off-the-software-presses Office Lens integration in OneNote for Windows 10. Microsoft’s OneNote application has continued to receive many great features and updates, working across almost all devices and keeping things properly synced. OneNote is a digital notebook that allows users to capture any information and have access to it from almost all devices. From notes, videos to pictures, all information is synced to the cloud, removing the need for physical paper notebooks or the concern of lost information. This gives you the flexibility to take your work anywhere you need to be and stay productive. With the ability to share your notebook, users can also collaborate across multiple devices with other users, working on the same project or pages of information. With these latest updates to OneNote, how have you been able to take advantage of the new features? Let us know in the comments? What new features of OneNote have you been able to take advantage of?